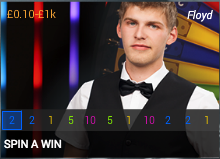 One of the newer technological advances in the online casino industry has been the introduction of the live casino – it’s a great way to crank your table gaming up a notch by joining a game with a real live dealer or croupier and to take advantage of the opportunities to interact and chat with that person or your fellow players. 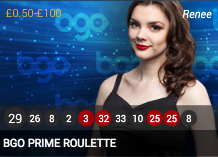 At BGO it’s Playtech which provides the live casino software and in our opinion it’s one of the best out there; all the major table games are available to play as well as others such as the entertaining Spin A Win. The first time you try it out you’ll be asked to pick a nickname – the dealer or croupier will then be able to give you a personal welcome to the table. 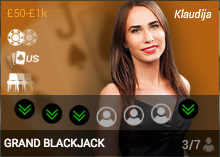 Blackjack – open up the blackjack lobby, choose a game which suits your budget and your preferred dealer, pick a seat and off you go. Roulette – open the roulette lobby, pick your game and croupier and wait for the next spin. 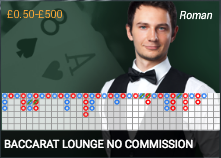 Baccarat – if you’d like to try this moderately complex game then just open the baccarat lobby, pick your dealer and budget and follow the instructions to get started. Casino Hold-Em – fancy some poker? 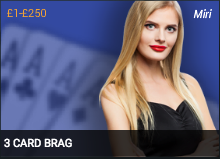 Try Casino Hold-Em or 3 Card Brag right here. Spin A Win – place your bets and spin the giant Wheel of Fortune. For those on the move the good news is that the same live games are also available on your mobile device – just fire up the BGO app, locate the ‘Live’ tab on the main navigation menu and select your game of choice; the various game options, dealers and budget offerings are all the same so once you’ve dipped your toe in the desktop (which is an odd thing to say), you’ll be quite at home on your smaller device.